ACS’ bid consists in: €18,76/share in cash and/or 0,128 shares of Hochtief for every Abertis share. Abertis shareholders will be able to hand over all or some of their shares in exchange for cash, shares, or a combination of both. The offer needs a minimum acceptance from shareholders with 50% of Abertis’ capital plus one share, as well as shareholders with a minimum of 193,5 million Abertis shares (19.5% of capital) opting for the share exchange. 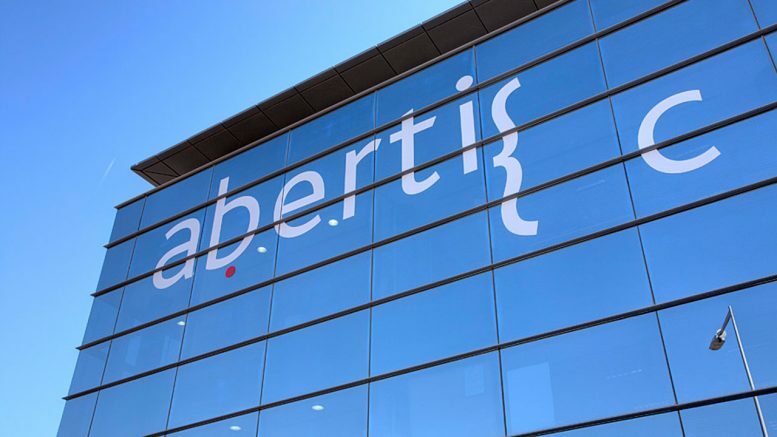 It’s a delisting tender offer, meaning that Abertis investors who don’t sell their shares in the market or accept Hochtief’s bid once the acceptance period starts, risk ending up without any liquidity. From this moment, Atlantia’s bid is now suspended until the Stock Market Regulator (CNMV) approves Hochtief’s counter-bid. The regulator can ask for more information on the latter, which would further extend the completion period. (1) Sell the shares in the market. This is the most conservative alternative, since it produces capital gains and puts an end to the risk. We believe this is the best option for investors with defensive, conservative and moderate risk profiles. We remind you that since the first day Atlantia made its bid for Abertis, we recommended remaining in the stock. And we proposed to investors NOT TO ACCEPT the €16,50/share because we defended the possibility of an improved counter-bid from a third party, which has in fact happened. Abertis has revalued +15,2% since the day the operation was announced (yesterday €18,84/share vs €16,35 on 15/5/2017. This implies an annualised yield of +35%). (2) Wait to see what happens and whether there might be an improved counter-bid from Atlantia. We believe that this is the best alternative for those investors with dynamic and aggressive risk profiles, who are looking for an additional revaluation in Abertis’ shares. There is the possibility that Atlantia launches a new bid which beats that of ACS and Hochtief, although that is not our central scenario. In any event, the investor who opts for this alternative would have time to sell his shares in the market before the acceptance period ends. (3) Finally, there is the possibility of accepting Hochtief’s offer, which would foreseeably imply receiving shares in the new integrated company (80% in cash and 20% in shares) which will be listed in Germany. The company has said that its objective is to increase the dividend payout to close to 90% from 2018 and offer a dividend yield of nearly 10%. This is not our preferred option for the time being. But it would provide the opportunity, giving credibility to Hochtief’s guidance, to invest in a company which, initially, would be attractive for those investors interested in an asset which generates stable and period revenues against a backdrop of reduced interest rates. On a strategic level, Hochtief-Abertis would position itself as one of the main integrated infrastructure groups, leading the development of public-private greenfield projects and being complemented by Abertis’ strong concessions portfolio. The company is forecasting synergies of around 6-8 billion euros, mainly coming from new investment opportunities (especially in North America, Australia and Europe). They are estimating a pipeline of projects worth 200 billion euros for 2018-2021. Their average percentage of success is 30%, although in regions like the USA and Australia that percentage is over 40%. The combination of both companies’ businesses would bring higher cash flow generation and greater visibility, avoiding the cyclicality which is charateristic of the pure construction business. The implications for all the parties involved in the operation will be different. Renta 4 analysts flag that in relation to Cellnex, Hochtief has said it does not intend to launch a full bid for the shares. For that reason, it’s likely that Cellnex sells the percentage necessary to avoid a full bid happening. That means it would divest 4% of capital. As to possible changes in the Ibex 35: in the event of either of the bids for Abertis being successful, there would be a vacancy in the blue chip index. Renta 4 thinks BME is best placed to substitute Abertis. In addition, it would receive the dividends corresponding to its stake, as it has confirmed in the brochure for the bid. That would mean an attractive dividend yield.